Mindfulness meditation develops an awareness of how sensory experiences (visual, auditory, olfactory, gustatory and tactile perceptions) produce the feelings (liking, disliking, neither liking nor disliking) and emotions (aversion, craving, indifference) that trigger our behavioural responses. Practicing non-judgemental, non-conceptual observation of bodily, verbal and mental actions brings peace of mind because it keeps us grounded in the present and enables us to recognise what is wholesome, unwholesome, or neither. Making mindfulness habitual is ultimately more satisfying and less stressful than our default habit of worrying over the past and fantasising about the future. Vipassana meditation – ‘watching’ physical and mental phenomena arise and disappear – while seated indoors away from noise and other ‘distractions’ is the mindfulness method most widely practiced nowadays, I’m guessing. Many instruction manuals recommend practicing while seated in seclusion. Certainly I have found solitary sitting to be an efficient means for developing awareness of the ‘inner world’, but it also led me initially to separate meditation from normal daily life – I regarded meditation as a special activity to be done at a designated time each day in ideal surroundings (a classic case of ‘attachment to rites and rituals’!). 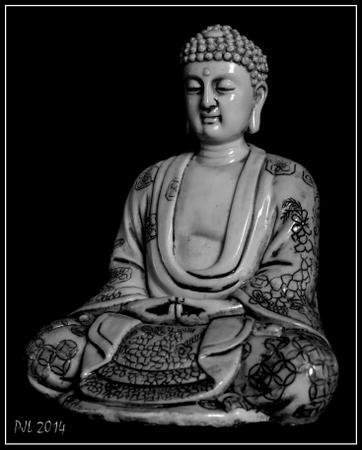 Only later did I learn that seated meditation was a mere first step towards total mindfulness (sati) – one of seven ‘factors of enlightenment’ to be cultivated, along with investigation of doctrine (dhammavicaya), energy (viriya), delight (piti), calm (passaddhi), concentration (samadhi) and equanimity (upekkha). The scriptures mention four meditation postures – sitting, standing, walking and reclining. These four postures represent the many different positions a body may possibly adopt during waking hours. Ajahn Chah recommends that we “make these four postures even… make the practice even in all postures.”  However he’s not suggesting that we do an hour of sitting meditation, followed by an hour of standing meditation, followed by an hour of walking meditation, followed by an hour of reclining meditation… etc. He simply means that while going about our daily business we should strive to be mindful – we should practice remaining aware of what’s going on in body and mind at all times, no matter where we are or what we’re doing. The effort that we put into mindfulness should remain even or constant in all the postures during waking hours. There is no denying the aversion or boredom that arises when meditating intently for long periods, and if one finds a formal seated position most comfortable then a less familiar or even a disagreeable posture is more likely to illuminate the habits and preferences that have accrued during one’s lifetime. Whatever we happen to be doing, wherever we happen to be, if we realise that awareness has been lost because our concentration slipped, we can refocus yet again on breathing and allow our intuitive understanding of body and mind to expand naturally. By practicing in this manner we can integrate meditation seamlessly into our daily life rather than make it a special activity, to be done only when seated in the right place at the right time of day. I understand that some meditators will be reluctant to complicate what may already seem an incredibly difficult practice; however I would encourage anyone capable of sitting attentively for ten or more minutes, without fidgeting or daydreaming, to practice mindfulness meditation off the cushion and outside the shrine room. Standing in line at the supermarket till, waiting at the bus stop or the train station, admiring the view from the top of a hill… the opportunities to practice standing meditation are numerous and it can be done discreetly, without alerting or amusing others who may be in close proximity. My suggestion would be to assume a shoulder width stance with arms hanging loosely and resting comfortably against the stomach, right hand gently clasping the left hand. Breathe naturally and relax the shoulders, remain still and upright with eyes open but don’t stare at an object or look around aimlessly. Now observe each breath without naming or conceptualising it. Be aware of knowing each breath from beginning to end. Be aware of watching each breath arise and disappear in the present moment. Having established mindfulness of breathing, begin to incorporate other bodily sensations into your awareness. Scan the body attentively, directing attention precisely around the entire head before moving on slowly down to the neck and shoulders, arms and hands, back and chest, spine and stomach, buttocks, hips, groin, thighs, knees, calves, ankles, feet and toes. Then broaden the scope of attention so that your awareness encompasses the whole body. When performing the body scan you may notice for example that the muscles of the neck, shoulders, arms and upper back are feeling more relaxed than the chest muscles that are being employed during respiration. Tension in the buttock and leg muscles that are working hard to maintain the body’s upright position may become stressful, so too those itching sensations that can feel like ants crawling over one’s skin. Resist the urge to alleviate these and other ‘problems’ by moving or scratching. Focus instead upon the minutiae and try to appreciate the subtle energy changes that these natural phenomena represent; allow them to subside naturally and you will learn something about impermanence (anicca), dissatisfaction (dukkha) and non-ownership (anatta) while developing the ability to endure minor discomforts. When it becomes appropriate to end the standing meditation, try to be aware of the decision-making process before actually moving the body. Try to remain aware as the body shifts from standing to a posture of either walking or sitting or reclining. There are two traditional walking practices I know of. Method one is taught principally by Burmese meditation masters (e.g. Mahasi Sayadaw and Sayadaw U Pandita), and it involves precisely noting and labelling each separate movement of a single footstep while walking slowly and deliberately – “raising”, “lifting”, “moving”, “lowering”, “touching”, “pressing”… and so on, and so on. Eventually it becomes necessary to stop (“stopping”), stand (“standing”), turn (“turning”), and resume walking back towards the starting point – “raising”, “lifting”, “moving”, “lowering”, “touching”, “pressing”… and so on, and so on. One strives to remain aware and fully comprehending of each individual component of each and every step taken, without the mind wandering off into daydreams. Method two is taught principally by masters of the Thai Forrest Tradition (e.g. Ajahn Chah and Ajahn Sumedho). It involves pacing back and forth at normal speed – not too slow or too fast – along a straight path between two markers placed around twenty to thirty paces apart. When sufficiently composed and alert, the meditator walks with hands clasped in front of the body and arms relaxed, eyes on the path about a meter and a half ahead. Ideally one is aware of the intention of walking and aware of the actual pacing along the line. One is aware of reaching the end of the path. One is aware of standing still and taking a breath or two before turning and walking back again… and so on, and so on. Serious practitioners may do walking meditation non-stop for several hours, but quality and regularity of practice are more important than quantity. Unfortunately it is very difficult to practice these traditional monastic methods in public spaces without raising eyebrows. Since I don’t normally have the privacy of a large room or garden in which to practice, I have found it necessary to improvise a more practical style of meditative walking in urban areas or open countryside. Commuting to work and back, exercising the dog and doing the shopping, for example, are typical walking activities done frequently and they can also be done meditatively. Begin striding in a natural and relaxed manner, arms swinging loosely at the sides, gaze unfocused on the ground about a meter or two ahead. Enjoy the sensations of walking naturally. Bring attention to the breath when ready. Breathing in, count the number of steps taken for the entire inhalation (“1, 2, 3, 4…”). Breathing out, count the number of steps taken for the entire exhalation (“1, 2, 3, 4…”). Continue to remain concentrated on the number of steps taken when breathing in and the number of steps taken when breathing out. Notice in particular how the number of steps decreases as breathing quickens when walking uphill, and how the number of steps increases as breathing slows when walking downhill. Notice also the sensations of legs and feet impacting on different ground surfaces (asphalt, gravel, sand, grass, etc.). Distracting thoughts and feelings will inevitably arise. Acknowledge any resistance one may be experiencing (“This is boring! I can’t concentrate! What’s the point?” etc.) but try to remain concentrated on walking and try to ignore environmental sights and sounds until one’s intended destination is reached. However, if the distractions are particularly strong it may be better to stop and mindfully contemplate them awhile before walking on. With regular practice over time, one’s mindful walking will be developed enough to drop the counting and still remain aware of stepping and breathing in sync. One’s awareness of walking will be less likely to evaporate when touched by the wind or the sun or the rain, for example, and less likely to be dispelled by the allure of the high street or the enchantment of beautiful scenery or the fascination of past and future fantasies. Meditating while lying down can be especially useful for slowing down thinking when the mind is racing. Immediately before rising from bed in the morning and prior to falling asleep in bed at night, or when soaking in the bath, are the obvious times for reclining meditation. Undoubtedly there will be other opportunities for practice during waking hours. Reclining meditation may be done in the manner as depicted by traditional statues of the Buddha in respose – that is to say; lying on the right side with legs straight and feet together, left arm extended along the left side, right arm bent at the elbow and right hand supporting the head. An alternative method is to lie on one’s back with head resting on a pillow or unsupported, arms outstretched and slightly away from the body with the palms facing down or up, legs outstretched or bent at the knee with the feet about a shoulder width apart. 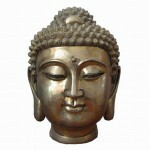 As in sitting meditation, remain still and become mindful of breath and body. Acknowledge whatever feelings and emotions arise but try not to relinquish your mindfulness of reclining. Notice how body posture affects one’s mental state. Lying down is more often than not a prelude to sleeping and so one is liable to feel drowsy very quickly. The sitting posture is more conducive to awareness, but one is usually most alert when walking or standing. Don’t get upset if you need to alter your position – just do it mindfully. When concentration slips and you realise you have lost awareness, just bring the attention back to the breath and body. When body is pained and bedridden, and death is near, the only assets we can rely on are our merit and our ability to meditate. An enlightened being remains equanimous under any circumstances. We should therefore be making our mindfulness practice consistent during the waking hours. To notice one’s physical and mental responses when situations and surroundings are unfamiliar, displeasing, or stressful, can be most informative. Pleasure, pain, boredom – whatever it is we’re experiencing, if awareness is present we can recognise these mental states as impermanent (anicca) and unsatisfactory (dukkha), and we can remain calm because we do not mistake them as ‘I’, ‘me’, ‘mine’ or ‘self’ (anatta). However, we are unlikely to develop and maintain this ability if our practice is confined to a daily session on a cushion in the shrine room at the appointed time. ‘The Foundations of Mindfulness: Satipatthana Sutta’, translated by Nyanasatta Thera. Access to Insight (Legacy Edition), 30 November 2013. ‘No Abiding’ by Ajahn Chah, 1980. ‘Maha-parinibbana Sutta: Last Days of the Buddha’ (DN 16), translated from the Pali by Sister Vajira & Francis Story. Access to Insight (Legacy Edition), 30 November 2013. 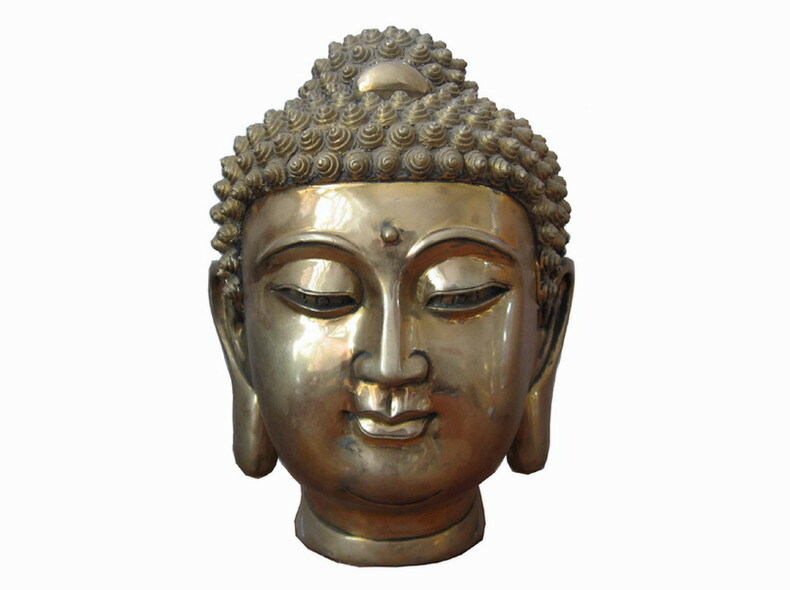 ‘How To Meditate’, Vipassana Dhura Meditation Society. 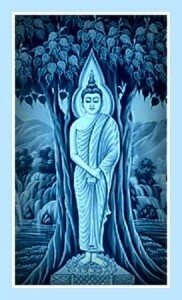 The Four Foundations Of Mindfulness In Plain English by Bhante Henepola Gunaratana, Wisdom Publications, 2012. Walking Meditation by Nguyen Anh-Huong and Thich Nhat Hanh, Sounds True Inc, 2006. 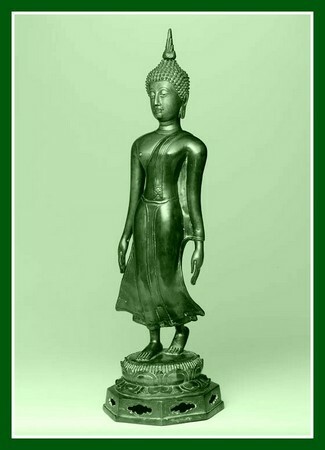 Walking Meditation by Venerable Ajahn Nyanadhammo, Wat Pah Nanachat Sangha, 2003. This entry was posted in Commentary, Meditation and tagged attention, awareness, body, meditation, mind, mindfulness, postures. Bookmark the permalink.